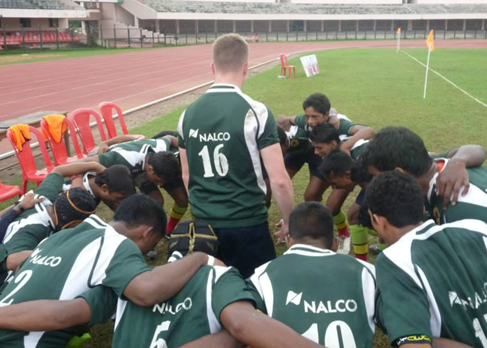 I didn’t really know what to expect when I embarked on my trip to Kolkata from the UK, the plan had been to follow a 2 week internship with the Telegraph newspaper but when I was offered the chance to spend the two weeks purely on rugby I agreed this was something I would enjoy much more. After arriving at Kolkata at around 5am, I was picked up by Paul (the founder of the Jungle Crows) and Nanda (one of the coaches) and given the option to lie in the following day. When I eventually woke up, I was driven to the Jungle Crows office where I met many of the boys and coaches that I would be travelling with. I then had a typical Indian lunch of rice and dal; this gave me a good opportunity to get to know about the boys’ interest in rugby and their life outside of rugby. During this lunch I also met one of the senior players, Tudu, who had been on a scholarship at Hartpury College, a similar rugby school in England to which I attended for 3 years, Epsom College. This gave me an early chance to learn some of the cultural and rugby differences between India and England. That evening, the under 19 squad met at the train station, very ready for the All India U19 competition. This is where I met the other members of the team that I hadn’t met in the office. Nanda was one of the 2 coaches and I met the other, Hari, at the station. Both of which represent Jungle Crows at senior level. To be honest, I wasn’t too excited about the 9 or so hour journey that we had ahead of us, but after a short while I realised that this was a hilarious experience. The practical jokes and tomfoolery made it feel like a lot shorter. Lets just say it took a brave man to fall asleep with 22 awake and lively boys surrounding you! On arriving at Bhubaneswar Station, I was taken aback by the scenes of poverty as it was like nothing I had ever seen. I expected to see scenes of extreme poverty on my trip, but actually seeing it in front of you is life-changing. There were young boys and girls of no more than 5 years of age with no parents and barely clothed, sleeping on the concrete floor. This is deeply shocking and makes you fear for their future but it also made me want to help in any small way that I can. A bus picked us up from the station and drove us to the Kalinga athletics and football stadium where the competition was to be played. This stadium has a capacity of 55,000 people. I have never played in a stadium anything like as large, so this was really exciting. For the first game I was selected at fullback. I was quite nervous as I had no idea about the ability of the guys, but my chance came in our game against Kerala. I was stunned by the high standard and the boys were amazing. Obviously they have to make up for the fact that they weren’t the biggest rugby players in the world, but it showed me how irrelevant this was considering their brave tackling and electric handling skills. 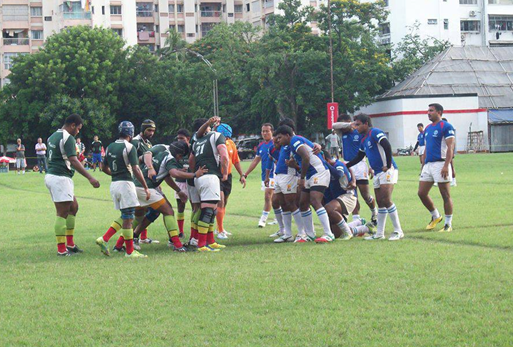 The Crows went on to win the match 59-0. Clearly as a fullback my involvement was minimal in defence because the Crows defence did not let the opposition break the line. Now I knew what they were capable of. There was a repeat performance of this dominance in the second match v Bihar. The score tells the story 76-0. The success in the group stage meant the Crows had walked into the semi-finals and they knew they were about to face their first proper challenge. As one of the referees told me ‘the competition begins in the semis’. 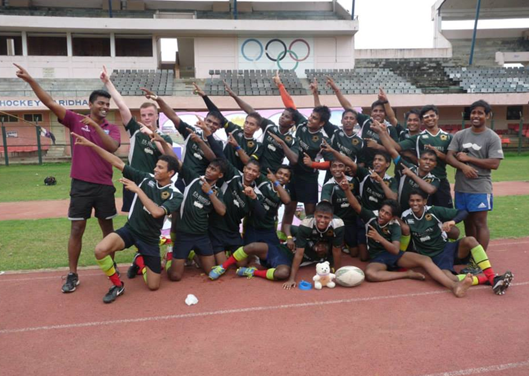 Jungle Crows v Bombay Gymkhana, – both were teams who came to Bhubaneswar with high expectations of leaving with silverware. It was a very tight game with good defence. Eventually, Crows managed to break the deadlock and won 8-0. I think it could have been more if it wasn’t for a few errors and an unnecessary yellow card, nevertheless, the boys were elated to progress to the final were they would be playing Future Hope Harlequins. Future Hope Harlequins and Jungle Crows both respected each other. They knew that they were the top 2 teams in the competition. The beastly size of some of the Future Hope boys was always going to be a problem, and it proved to be in the match. Both teams were going into the final having not conceded a single point in their previous matches. We were expecting a tight defensive game. Future Hope got themselves off to an early lead and then disaster struck when one of our key players and open side flanker was shown the yellow card for a questionable offence. The one positive that could be taken was that we were the only team to score against them in the entire campaign, however we did lose the match 27-5. After returning to Paul’s home in Kolkata, I had a big sleep and was taken back to the JC office to be told about my 2nd adventure to the Jungle of Siliguri with the U13 team. 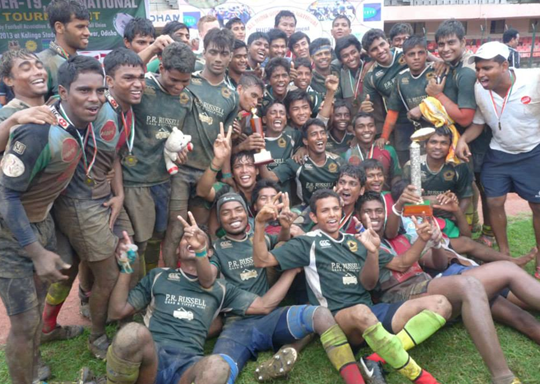 I was due to be travelling with another senior player, Zeeshan, and 2 boys who were staying there to study and set up a rugby project in the jungle. If I thought the previous train journey was long, this one was even more challenging, but again, the good company made the time fly. We got to the church where we would be staying and we received a very warm welcome from the Father and all the locals. The morning of the competition happened to be the national Indian Independence Day, so there was a service in the church followed by the national anthem. After this, I was asked to say a few words! I found this difficult, as my knowledge of Indian Independence is poor to say the least. I decided it would be best to keep it short, so I just wished them all a wonderful day and their teams the best of luck in the tournament, which was to follow in the afternoon. The tag rugby competition in the afternoon was an undoubted success, especially considering some of the boys and girls had only been playing for 3 months or so. My involvement included scoring, refereeing and even a bit of commentating with a microphone! It was enjoyable to see the kids having fun in such muddy conditions. The following day we watched ‘Chennai Express’ in the cinema which I’m sure was awesome, – just a shame I can’t understand a word of Hindi. The next day we all returned to Kolkata, and once again, a big sleep was due. On my last day in Kolkata before flying home, I went to watch one of the most exciting rugby matches I’ve ever seen – the Jungle Crows 1st XV versus the Kolkata Police. It was an incredibly tight game that ended in a Jungle Crows victory due to outside centre, Tiger, holding the ball up over our try line in the dying moments of the match, which prevented a Police win. I then enjoyed the rest of the evening with Hari, Nanda, Paul and Arun. It was nice to relax and reflect on what had been an amazingly eventful couple of weeks and an experience that I will never forget. I am incredibly grateful to Paul and all the other guys at Jungle Crows for the fantastic time they’ve given me, and making me feel so welcome. I’d love to see them again in the future and wish them all the best.